New partnership with Terminal 4 at John F. Kennedy International Airport. 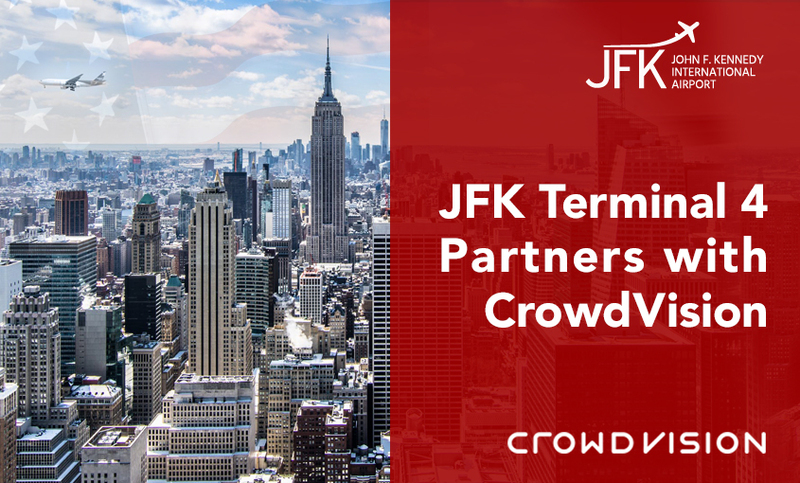 Today, we are delighted to announce an exciting and progressive new partnership with Terminal 4 at John F. Kennedy International Airport. On a continuing mission to improve the passenger experience of more than 21 million annual passengers, CrowdVision technology will be used to optimise the full passenger experience beginning with arrivals ‘curbside’ at terminal 4. Focusing on 3 key areas, CrowdVision will analyse ‘curbside’ actions to manage passenger arrivals and vehicle congestion. In the departures area, measuring airline and partner check-in desks ensuring they are optimally staffed to provide an efficient service, reducing process times. Finally at security checkpoints, to measure and minimise wait times in the general and TSA Pre-check lines for ticketing and security screening. Using CrowdVision technology, staff at Terminal 4 will have the ability to monitor and deploy solutions in real-time, giving them the full agility to maximise the passenger experience. “We are proud to partner with CrowdVision to enhance the passenger experience and remain at the forefront of the industry by employing the latest technology and innovation,” Roel Huinink, President and CEO of JFKIAT. Oman Airports signs contract with CrowdVision® to enhance passenger experience in real time. CrowdVision is a leading automated pedestrian analytics and insights company. CrowdVision software shows what is happening to an entire pedestrian population, in real time. This enables infrastructure operators like airports, transport hubs, retail malls, convention centres and theme parks to act decisively to increase efficiency and profitability, both in the moment and in the future, whilst improving their customers’ experience.